Why Is Tumblr Called Tumblr? 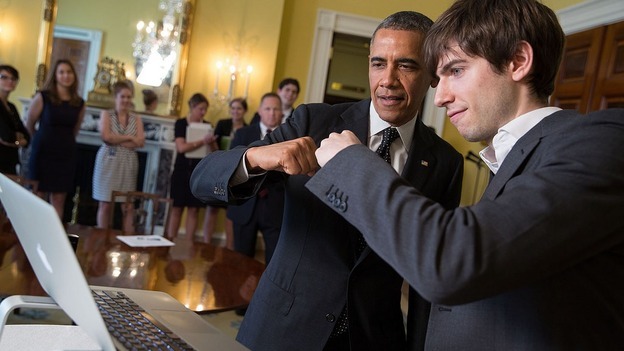 “I wanted an identity to be proud of,” said High-School dropout, David Karp, founder of the internet sensation, Tumblr, when asked why he chose to pursue his idea in Tokyo at the young age of 17. “I was so silly – I tried to be very formal and put on a deep voice to clients over the phone so I didn’t have to meet them and give away how young I was.” Now 28-something and the successful frontman of one of the world’s most impressive internet startups, it’s hard to believe Karp had such a bashful start. Founded in 2006 and officially launched in 2007, Tumblr was the first tumblelog (short-form blog) of its kind to really hit it off with the general public. Within two weeks, Tumblr had already gained a user-base of 75,000 users and on May 20, 2013 Tumblr was acquired by Yahoo! for $1.1 billion. The company is still headquartered in New York City and Karp remains the CEO. 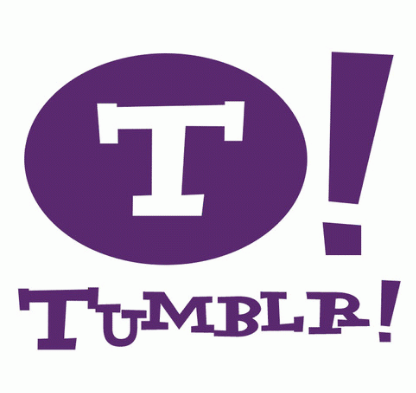 Tumblr is a “microblogging tumblelog” (try to say that ten times fast!) – the third of its kind. A German teenager named Chris Neukirchen was actually the first to spark the idea of a micro-blogging platform that allowed readers to view a string of blog posts, not exceeding one paragraph; short and sweet. He named it Anarchaia. Later, two Chicago friends Marcel Molina and Sam Stephenson created their own spin-off, Projectionist, which had a much more visual identity. Full of little tidbits of quotes, video, gifs, paragraphs, imagery, look at Projectionist and you’ll see what looks like a cryptic, ancient version of Tumblr; maybe in some ways, it was! The issue? Neither Anarchaia or Projectionist allowed users to submit their own microcontent, which was a major loss in the internet world of hyperinteractivity and the culture of sharing vital to its operation. Why is it called Tumblr? Karp once said in an interview, “The product is amazing and beautifully designed, but what makes Tumblr Tumblr, I think, are the people who are signing into Tumblr every day and sharing themselves and the things they make and love!” You can customize Tumblr to fit you and express something you care about or find amusing. 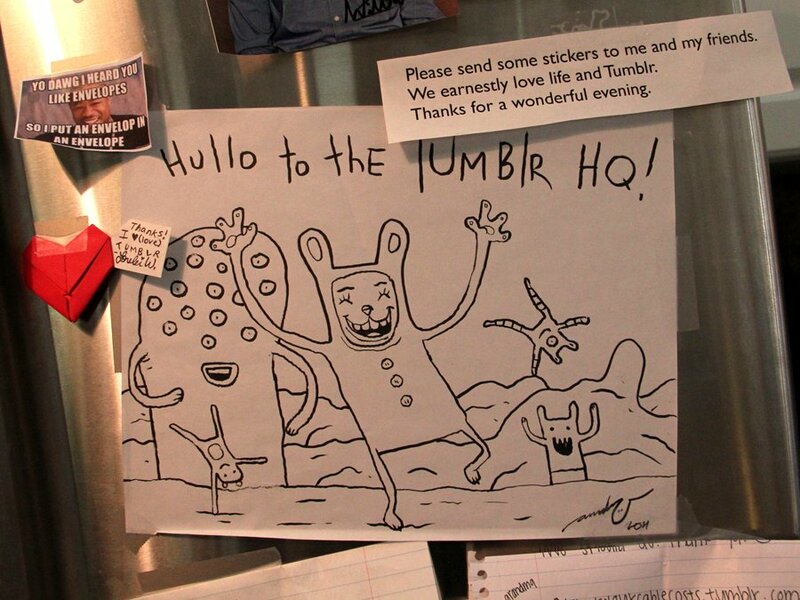 And Tumblr has quite a fan following; so much so, that Tumblr HQ pins all of its best fan letters and drawings to the company fridge. How fun is that?! A fun drawing situated among fan letters. 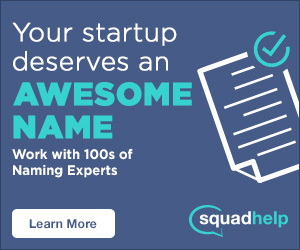 From Gaga to Obama, and everyone in between, Tumblr is full of an incredibly thrifty mix of creatives, and on the outside, the company as a whole seems to reflect this same attitude: there’s no real monetizing business model, nobody’s constantly clamoring for a buyout. In an interview with The Guardian, Karp stated, “There are a lot of rich people in the world, but there are very few people who have the privilege of getting to invent things that billions of people use.” Minimalism is the key to Tumblr’s freedom, and the reason why the simplicity of its visual intuition and core friendly community spirit just can’t be overwhelmed. It may sound a little counterintuitive, but maybe the key to a future buyout is to pass on the early pennies and instead focus your efforts on building something worth talking about.